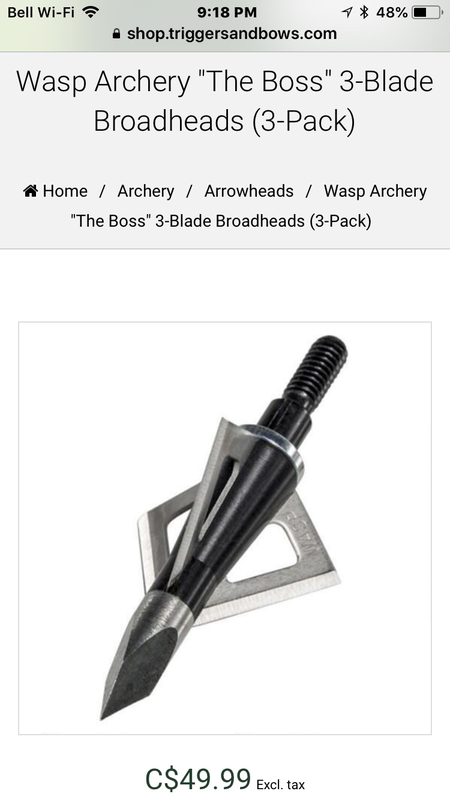 Any of you guys have a local shop that carries wasp broadheads? Thread: Any of you guys have a local shop that carries wasp broadheads? Hi guys. I'm a Wasp fan. I want to try the Darts or drone broadheads this year but want to buy from a Canadian store and not from Amazon. Anyone have a local shop that Carrie's these 2 heads that I can call? Not interested in any other brand. Thanks man! I hadn't seen them.... I'd like to find drones or dart heads though. They are all steel. Try The Bow Shop aka Shooter's Choice Colby Dr. Waterloo On.